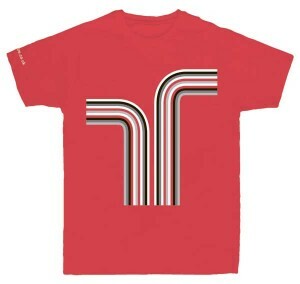 JG Thirlwell has designed a shirt for The Wire magazine. Entitled FORK, the shirt is printed in black, grey and white on a red shirt with The Wire url printed in white on the right sleeve. It is available exclusively from The Wire in a limited edition of 100, and is available in small, medium, large, XL and womens large. Price (including postage and packing) is £20 for UK, £22 elsewhere. Wire subscribers get £2 off per shirt. Update 4/10: Sold Out!